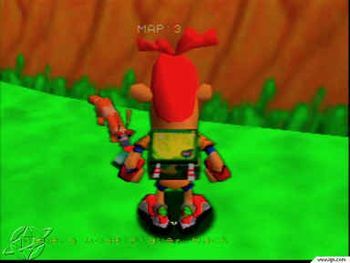 The main character used for the demo of Desert Island 64 (who is unnamed). 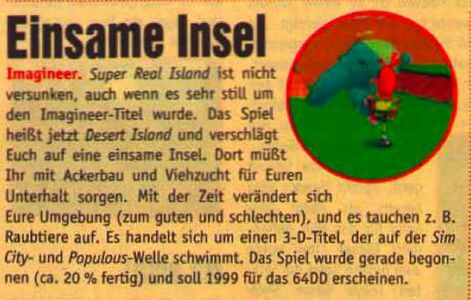 Desert Island 64 (also known as Super Real Island) was a simulation RPG that was to be developed by Imagineer and released on the now discontinued Nintendo 64 peripheral, the Nintendo 64 Disk Drive. 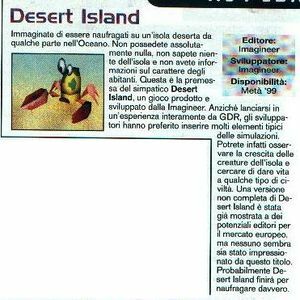 The gameplay of Desert Island 64 would have been about the main character (who is unnamed) surviving on a desert island, cultivating the land on the island, breeding and raising the different kinds of fauna on the island, and creating a new civilization on the island. It was described to have been a "mix of platform, survival, and life simulation." 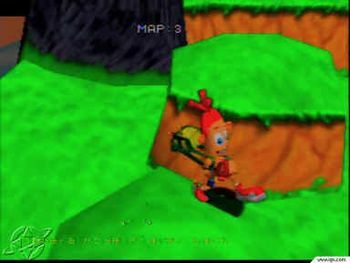 The game was going to support all of the features that were included with the Nintendo 64 Disk Drive. 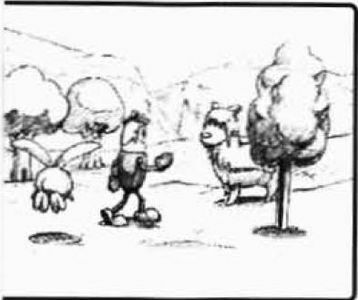 Desert Island 64 was going to be an immensely complex game, even to feature an evolution "food chain" with the different forms of flora and fauna on the island, which the player could observe and interact with. 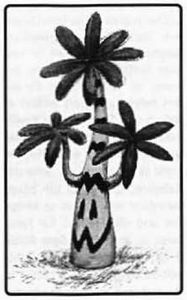 The different forms of fauna that have been shown in Desert Island 64 through concept art and screenshots of the demo include a flying insect type creature, a crab creature, an elephant-like creature, and a dog/llama hybrid-type creature. Desert Island 64 was first shown to the public at Space World (formerly known as Shoshinkai) 1996. 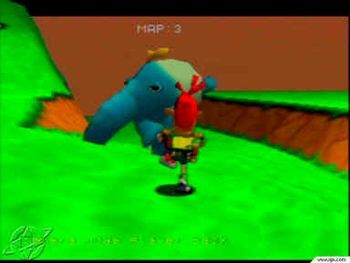 The game was also supposed to be present at that year's E3, but the game crept away from the public eye after its developer, Imagineer, encountered financial troubles and had to cancel Desert Island 64 and another title that the team at Imagineer was working on, Quest 64 II. 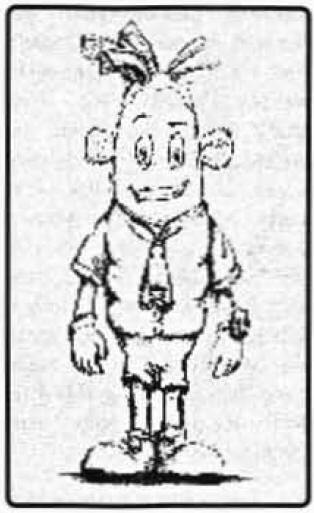 All that remains of Desert Island 64 online are a few screenshots from the original demo of Desert Island 64, various pieces of concept art, and various scans from issues #7 and #8 from the 1998 version of Nintendo Fun Vision, a German magazine focused on games and consoles that were produced by Nintendo.